Meet Our 30A Real Estate Experts! 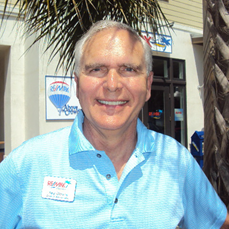 Jay Davis is a retired dentist who moved to the Destin and 30A area to sell real estate 12 years ago. 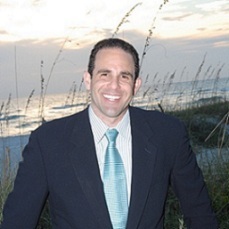 Jay has primarily concentrated on beach property for second homes and investment rental income properties. In the past few years, he has bought and sold many investment and second home properties personally, which has given him experience in understanding how to find the best value in any purchase. Finding the right place to make your second home or the right investment is a very important decision, and knowing the possibilities that work best is invaluable. Jay believes that investments in Florida real estate if done prudently can help diversify one’s assets in a positive way, and also provide many joyful and memorable family times at the beach. Shay decided to move from one paradise to another when he relocated from Honolulu, Hawaii to Florida’s Emerald Coast in 2007. After running a successful wholesale diamond operation for 13 years, Shay became a Realtor and worked to help others pursue their dreams of owning property on the beach. Now a Real Estate veteran of 8 years, Shay has earned the essential designations of GRI (Graduate Realtor Institute) and CDPE (Certified Distressed Property Expert) as well as being the proud Owner/Broker of the new RE/MAX Beaches office on 30A. As a permanent resident and owner of multiple properties in the area, Shay believes that Florida’s Emerald Coast is the premier spot to buy and sell real estate, and boasts the inside knowledge to guarantee you a hassle-free experience throughout your whole transaction. We are seeking motivated real estate professionals to join our team! Click for more information!